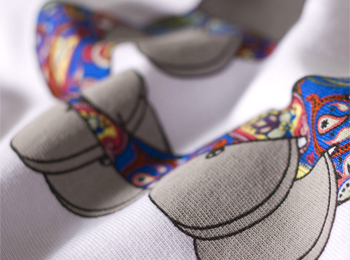 From today until the 3rd of April you can be in with a chance of winning an exclusive Teenage Cancer Trust Tambourine Tee signed by Liam Gallagher & Roger Daltrey in collaboration with Simply Tap. To coincide with Teenage Cancer Trust at the Royal Albert Hall 2012, Simply Tap will also be donating £5 to Teenage Cancer Trust for first time purchases of Pretty Green products placed through the app. If you haven't used Simply Tap before, it is an easier way for you to buy Pretty Green on the move. Just download the app, register your preferred payment card and address once and tap in the unique code of the product you want to purchase. Visit our Simply Tap page on Facebook for more details on how to register and order. When you make your first purchase at Pretty Green with Simply Tap, they’ll give £5 straight to Teenage Cancer Trust (donation applicable on first orders placed between 28/03/2012 & 30/04/2012). You top up your Pretty Green wardrobe whilst donating to a fantastic cause, what could be better than that. Teenage Cancer Trust is a registered charity: 1062559 (England & Wales), SCO39757 (Scotland). *No purchase necessary, you must fulfil the competition requirements outlined above in order for your entry to be valid. A winner will be picked at random each day between 28/03/2012 & 03/04/2012. Winners will be contacted via email the following day.